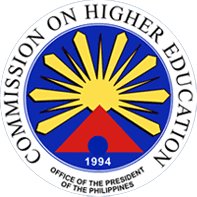 The Philippine-California Advanced Research Institutes (PCARI) Project is a new approach to enhance the skills and expertise of faculty and staff of Philippine universities and colleges, through scholarships, training and research partnerships with top-notch research universities in California, USA, in the priority areas of information infrastructure development (IID) and health innovation and translational medicine (HITM). Information infrastructure development refers to the technological and human components, networks, systems, and processes that contribute to the creation, flow or exchange, processing and management of electronic information (adapted from Braa et al., 2007). Health innovation and translational medicine refers to the bench-to-bedside translation of basic scientific research to practicable diagnostic procedures and therapies with meaningful improvements to physical, mental or social health outcomes (adapted from Zerhouni, 2005). All over the world, universities and colleges are expected to contribute to economic and human development in various ways. These universities and colleges create new knowledge and technologies to allow citizens to participate in the job market. Each institution plays an important role in making sure that individuals contribute effectively to the balanced development of society. One of the ways by which universities and colleges can contribute to prosperity is to engage in research leading to new and improved technologies. This can be done by training scientists and researchers who will generate new knowledge. Some countries are making significant investments to provide advanced training for their citizens by sending them abroad for graduate studies. For example, Brazil’s "Science Without Frontiers" program targets 100,000 Brazilians who will earn their masters and doctoral degrees outside their country. Among our ASEAN neighbors, Vietnam has invested about US$50M of its annual budget to send 1,000 university and college faculty a year for their doctoral degrees abroad. This is part of the overall objective to train 10,000 Vietnamese overseas. In some instances, developing countries have funded the activities of reputable foreign universities and colleges to set up programs in their country. For example, Rwanda provided a budget of $95-million over 10 years for Carnegie-Mellon University to open a program that will offer masters and doctoral degrees in information technology and in electrical and computer engineering. Another strategy adopted by other Asian countries is to catch up with the more competitive economies by utilizing what is called a leapfrogging strategy. The National University of Singapore and Mahidol University in Thailand, for instance, have partnered with leading universities abroad in the areas the Asian universities aim to leapfrog in. Compared to its neighbors, the Philippines is seriously behind in providing its universities and colleges access to high science and emerging technologies. Thus it is imperative for the Philippines to expand its pool of scientists and researchers in universities and colleges. An Agreement between the Government of the United States of America and the Government of the Republic of the Philippines on Scientific and Technological Cooperation was signed on 08 June 2012. This Agreement aims to strengthen scientific, technological, and institutional capabilities, broaden and expand relations between the scientific and technological communities, and promote scientific and technological cooperation in areas of mutual benefit, including information technology and the health sciences which are the two priority areas of the PCARI Project. The Agreement requires that the two Governments encourage and facilitate the development of direct contacts and cooperation between the government agencies and universities of the two countries. This is exactly what the PCARI Project is doing. The Institute for Health Innovation and Translational Medicine that will direct projects in health care through strategic technology, delivery and training, to improve diagnosis, treatment and health services delivery in the ten major causes of morbidity and mortality in the Philippines, such as asthma, diabetes, tuberculosis, dengue and diarrhea. Addresses important problems of society using the best technologies, including the development of technologies close to commercialization. Don’t take this at face value. One would need to know exactly the criteria that was used to determine thee results, and a college that is ranked very low, may actually EXCEL in the program you are looking for, while a higher ranked college may have a terrible business or exercise science reputation. If you are put off applying for a college because you don’t think you have a strong essay writing ability. You can always find a write my essay company to find some professionals to provide you with original content. Moving on, FIT is not ranked in the top 100, yet they are ranked #5 Globally for BEST Fashion Design Schools in the World. What I love about this list are the updated reviews from Students and Parents.